Now you can take your bike along with ease, whether it's your next ride to work or even a day out on the boat. 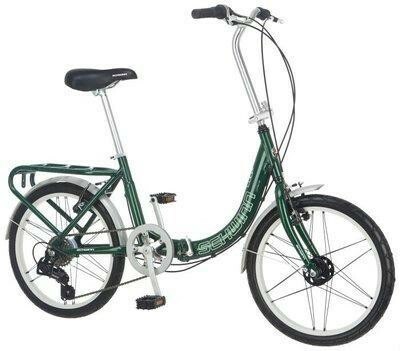 The stylish Schwinn Loop folding bike is simple to break down and store in its convenient carry & storage bag. The Loop's low "U" shape aluminum frame is lightweight, and with a 7 speed Shimano drive train and alloy linear pull breaks you'll be able to start and stop on a dime. Alloy rims are rust resistant and front & rear fenders keep you clean whether in the city or at the campsite. And its all backed by Schwinn, the name America has trusted in cycling for over 100 years.